If you opened up your package and there wasn't an instructional card within, we apologize! Sometimes the boxes make it out of our facility without an instruction card. 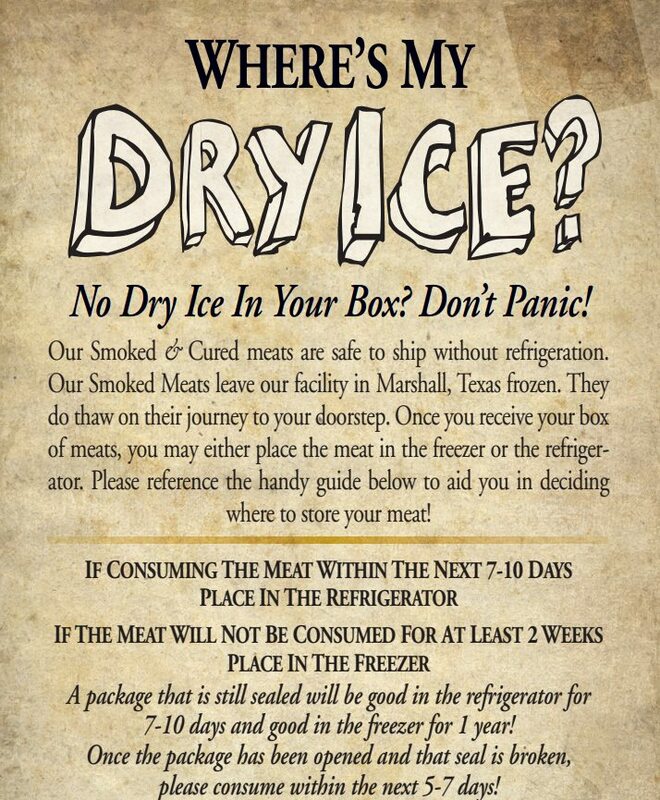 Please refer to the guide below on how to warm up your Turkey or other Smoked Meat....ENJOY!!! 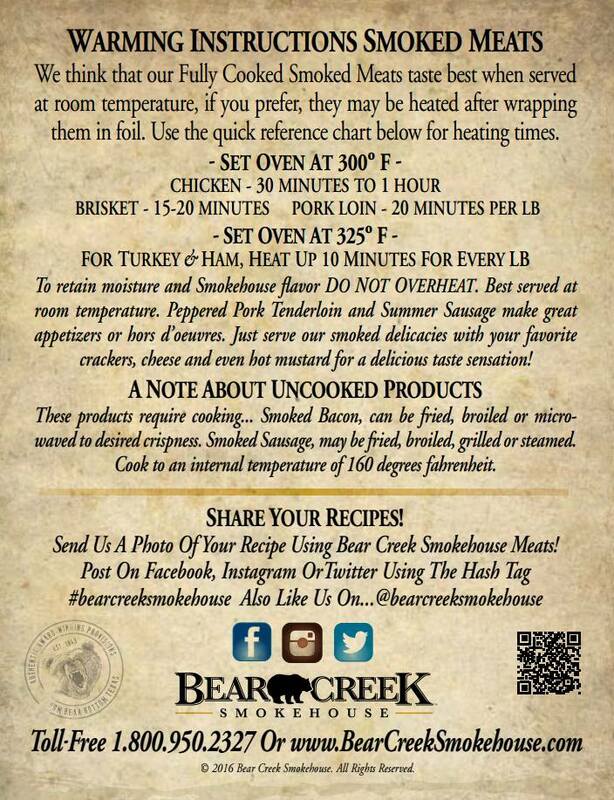 This entry was posted in RECIPES and tagged warming instructions, how to, how long is, expiration date, heating, turkey, ice, ham on November26,2016 by Bear Creek Smokehouse.